You don't have to fight traffic to crispy Griffith Park to catch a little train ride with the kiddies. 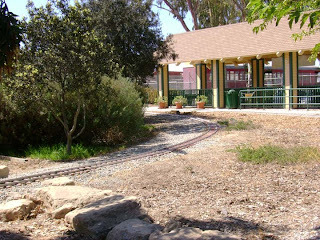 Tucked behind Wilson Park, on the southeast side, is The Southern California Live Steamers, and free Little Train Rides! FREE! What could be better than that!? When? The first Sunday of the month, except July, from 11:00 A.M. to 3:00 P.M. It's run by volunteers. These people must love what they do. 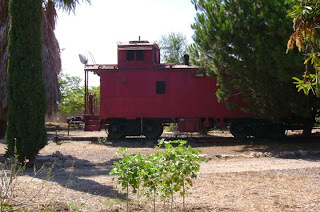 After a lovely train ride, you can take a short jaunt down the road to the Lomita Train Museum, a charming place to oggle over cool train paraphernalia, while the kids explore a real train engine and caboose. 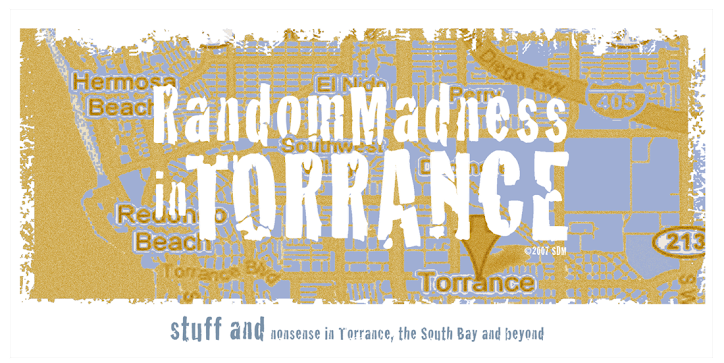 A wee bit of trivia: Irene Lewis, who donated the museum to the city of Lomita, and husband Martin hosted club meetings of - you guessed it - the Southern California Live Steamers.